Emilia Salvini dreams of marrying a man who loves music as she does. But in 18th-century Milan, being the 'second sister' means she'll likely be sent to a convent instead. Emilia's only hope is to prove her musical talents crucial to her father's quest for nobility. 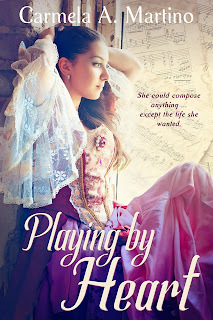 First, though, she must win over her music tutor, who disdains her simply for being a girl. Too late, Emilia realizes that her success could threaten not only her dreams but her sister's very life. At its core, Playing by Heart is the story of two sisters struggling to follow their true calling, even when it conflicts with their father's goals. It's a clean historical romance appropriate for ages 12 and up. And DePaul University Education Professor Roxanne Owens called the novel "a must-read addition for school libraries everywhere." You can read more review excerpts on my website. To celebrate the book's "birthday" today, I made some panettone, which you can see below. 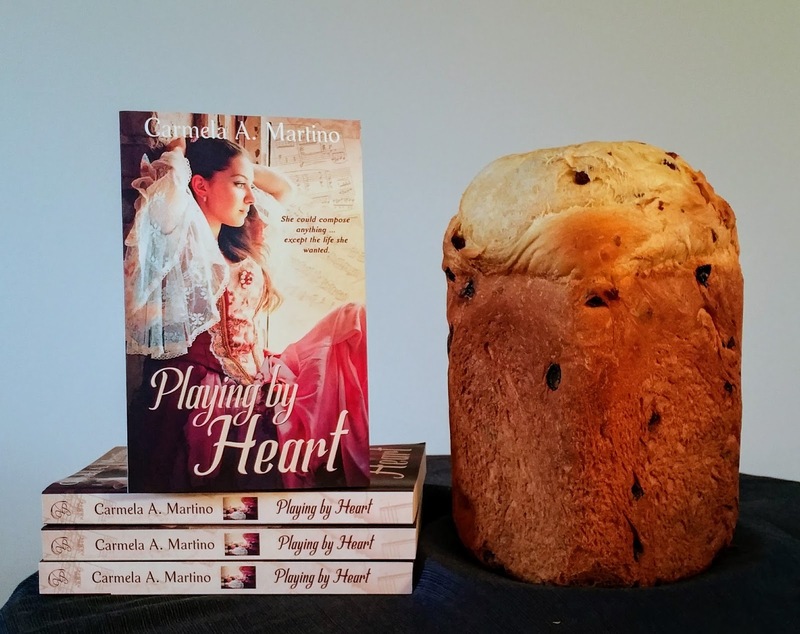 This Italian sweet bread is said to have originated in Milan, the novel's setting. To watch the book's trailer and enter a giveaway to win a free autographed copy, see my post on TeachingAuthors.com. I've set up a number of events to celebrate the book's release, both in the Chicago area and online. For details about those, see this page of my website.